Your monthly donation is the spark of success she needs! Thank you for being the spark of success our young moms need to attain success in school, in life, and as parents! A program that works. 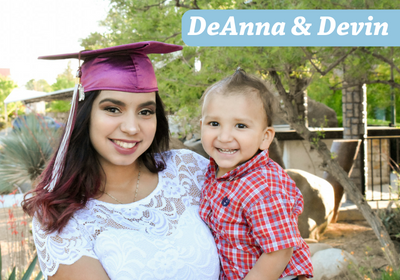 95% of our participants graduate high school or are on track to graduate when they complete the program versus only 38% of teen mothers, nationally, who graduate. One-on-one coaching to address her and her child's individual needs and help her work through the challenges facing her. Providing her with child watch during the program so that she can focus on her own growth and be the best student, parent, and person she can be. 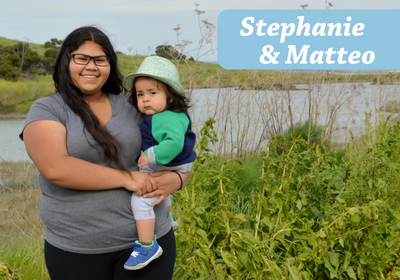 Becoming part of a welcoming community of young moms she can talk to and lean on when life is tough. Your monthly investment makes a difference in the lives of young families! Success Spark ($15 monthly): Healthy snacks for our young moms and their children during peer learning group. Success Beacon ($35 monthly): The funds needed to have child watch available to young moms for 1 month during peer learning group. Success Advocate ($55 monthly): Diapers and wipes for 5 young families. Success Champion ($75 monthly): Supplies needed for 1 year of our program for 15 young mothers and their children. Success Trailblazer ($100 monthly): Summer retreats for 120 young mothers and their children. Thank you again for standing with young mothers and their children!